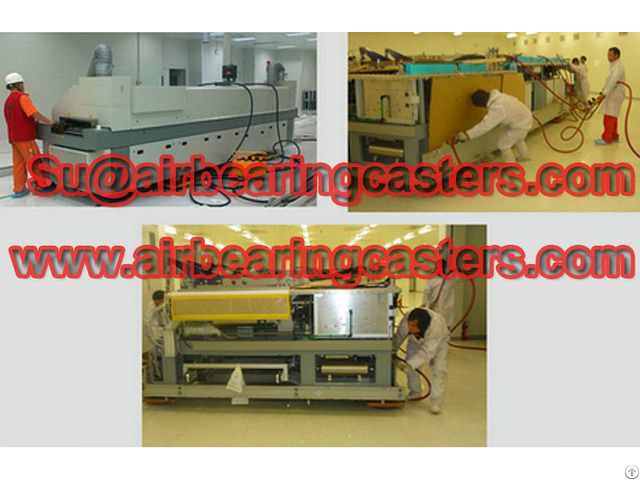 Air rigging systems is one kind of material handling tools which is simple and flexible when working. Air bearings movers capacity from 10 tons to more than 100 tons, customized design is workable if you contact with us. 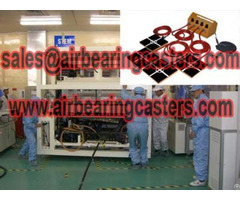 Our company Shan Dong Finer Lifting Tools co., LTD produce air bearings casters professionally for more than 20 years, our air casters capacity is from 10 tons to 48 tons. 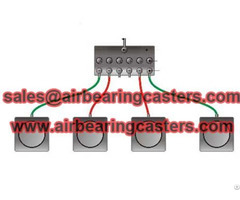 If you want custom made air casters, just please kindly feel free contact with us, hope our professionally service will get your satisfaction. Air mover is easy to operate, no need special training with the operator is workable. 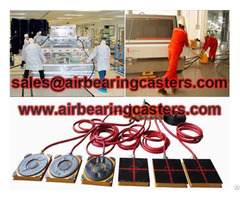 Regarding air casters price list, air bearings movers advantages, air movers manual instruction, air skates details, Please feel free contact us. professionally service hope will get your satisfaction.